The first GARDEN WARBLER (fauvette des jardins) of the spring this morning and there was another flyover HAWFINCH (gros bec). 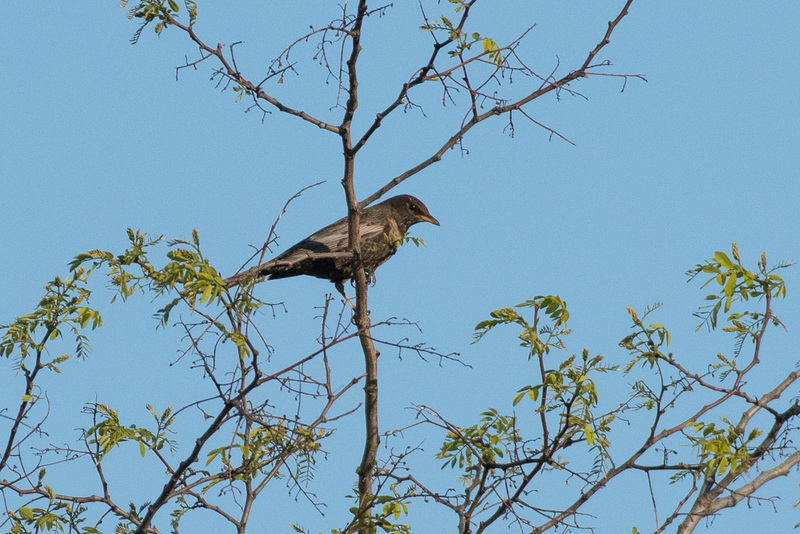 Good birding this morning with this RING OUZEL (plastron) tac-taccing up a tree by the mare Perchée, although it was quickly dislodged by a local MAGPIE (pie). 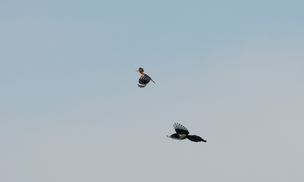 A bit later another MAGPIE found and chased off this rare HOOPOE (huppe fasciée) which was lapping around high over the prairie. 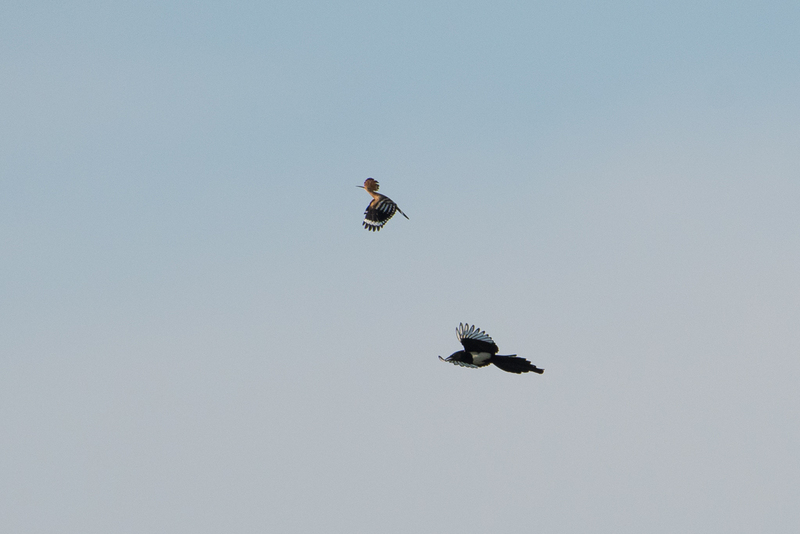 The first migrating HOBBY of the spring appeared, and there were local-looking pairs of HAWFINCH (gros bec) and BULLFINCH (bouvreuil). Nice male PIED FLYCATCHER (gobemouche noir) on site this morning and a group of 4 FIELDFARES (litorne) flew north. Significantly more SWIFTS (martinet) going through today, and there were first spring records of SAND MARTIN (rivage), HOUSE MARTIN (fenêtre) and WHITETHROAT (grisette). This blasted cold northerly wind continues, although it did play it’s part in an excellent skywatch today with Isabelle: we got the first SWIFT (martinet) of the year, a pair of HAWFINCHES (gros bec), another migrating SHORT-EARED OWL (Hibou des marais) and this SHORT-TOED EAGLE!! 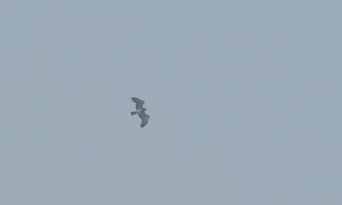 (circaète) which flew overhead in the early afternoon. 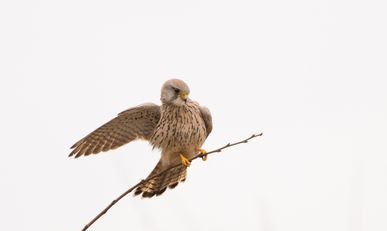 This is still a top draw bird in the region and the first I’ve ever seen at Beaumonts, whoopee! 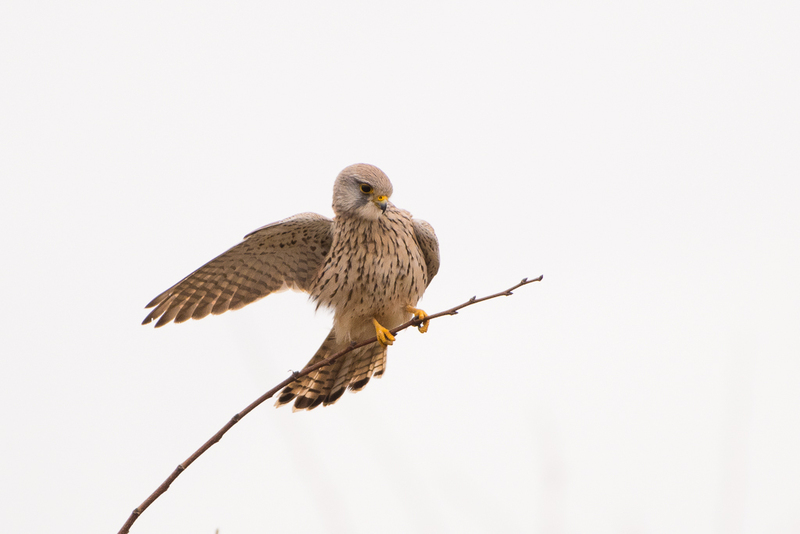 A long skywatch today in the company of Emmanuel, Maite and Remi was almost devoid of birds, maybe because of a cold northeasterly...only a few CORMORANTS, MEADOW PIPITS (farlouse) and LINNETS (linotte mélodieuse) flew over. 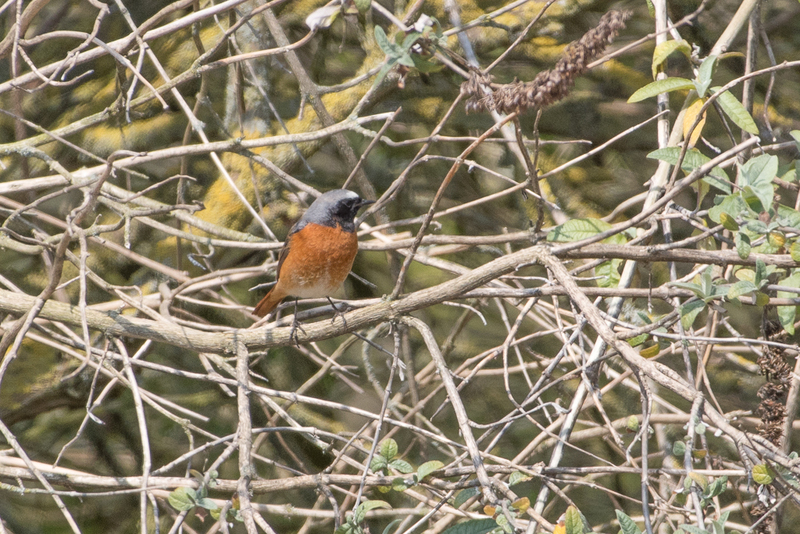 A pair of local-looking SERINS jangling overhead towards the cemetery, and this smart male REDSTART (rouge-queue a front blanc) by the mare Perchée, were welcome distractions from the empty sky. Major incidents had already occurred much earlier in the day when a superb male RING OUZEL (plastron) was found at the Compost, followed moments later by frustratingly distant views of a pair of CURLEW/WHIMBREL (courlis cendré/courlis courlieu) beating a strangely slow path northeast against an early watery sun (and that infernal wind). 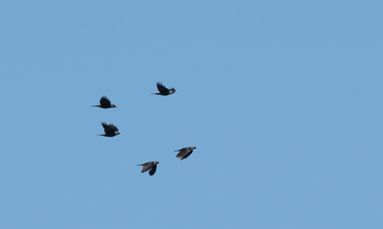 Lots of MEADOW PIPITS (farlouse) flying over early this morning against a cold northerly wind. A FIRECREST (triple bandeau) was singing along the Jean Moulin entrance path. 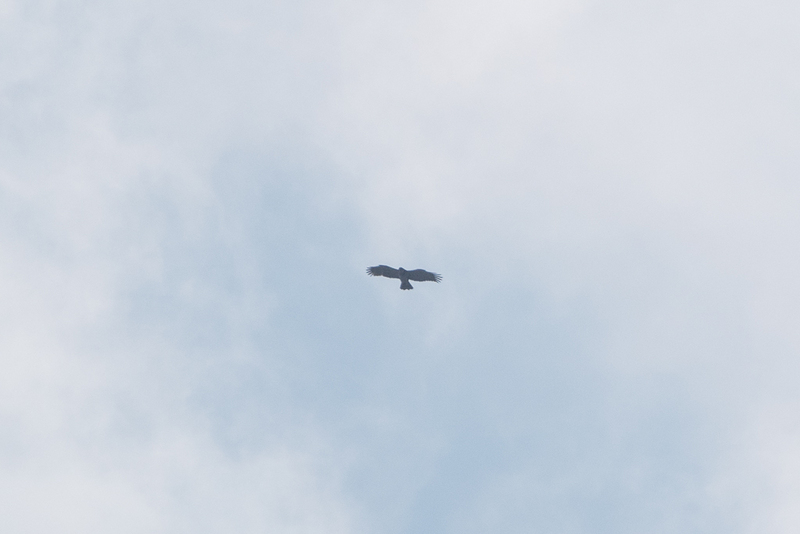 A distant SHORT-EARED OWL (hibou des marais) was the highlight today, circling for ages over the Bois de Vincennes and apparently not really knowing the right way to go. 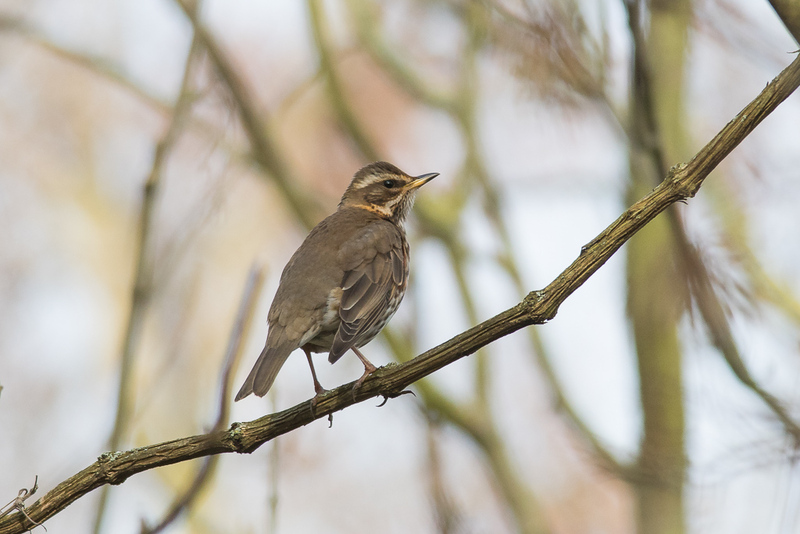 Fairly good passage early doors with SONG THRUSHES (musiciennes), REDWINGS (mauvis) and MEADOW PIPITS (farlouse) dominating. Nice to see 3 more SWALLOWS (rustique) going over. 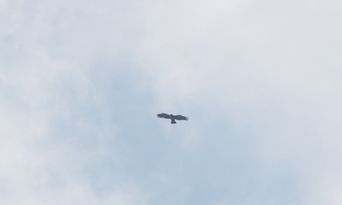 The first MARSH HARRIER (busard des roseaux) and SWALLOW (rustique) of the spring appeared this afternoon and an OSPREY (balbu) circled around for a thermal over Fontenay. A WOODCOCK (becasse des bois) flushed at first light this morning from the Petite Prairie. 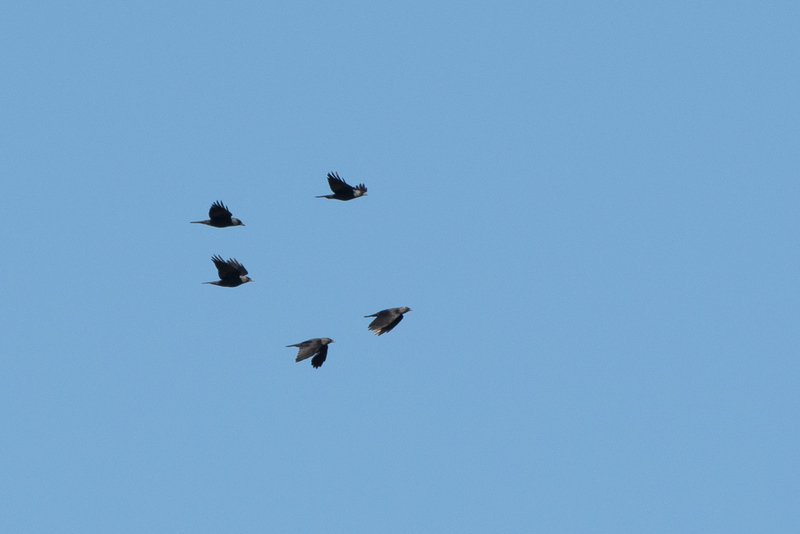 WOODLARKS (lulu) were seen flying overhead and there were a couple of small groups of CORMORANTS and these 5 JACKDAWS (choucas). 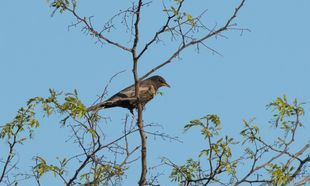 The first BLACKCAP (fauvette a tête noire) was singing at the Cascade. A few things moving north this morning including a flock of CHAFFINCHES (pinson des arbres), a pair of LINNETS (linotte) and a JACKDAW (choucas). 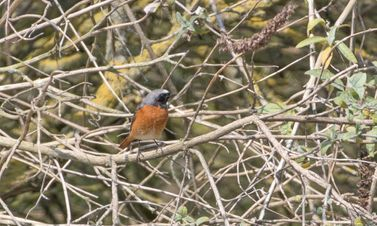 A REED BUNTING (bruant des roseaux) on site, and a CHIFFCHAFF (véloce) was singing near the cascade. 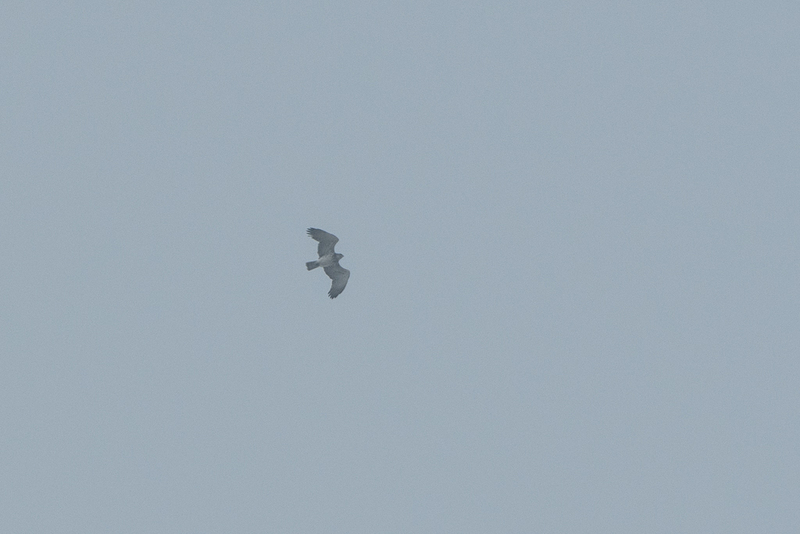 A PEREGRINE this afternoon, plus a couple of LAPWINGS (vanneaux) going north. 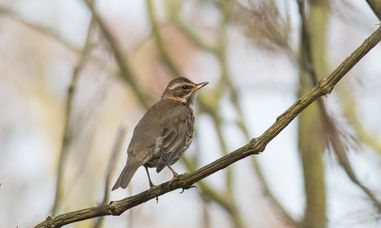 This REDWING (mauvis) was one of around 18 or so on site this morning and there were quite a few CHAFFINCHES (pinson des arbres) and a tight flock of about 30 STARLINGS. An incredibly mangy, grey-coloured, wirey-tailed FOX (renard) trotted gingerly across the Praire.